The company Team Group brings to the market a new convenient, pocket card reader which can be used without any extra cables. 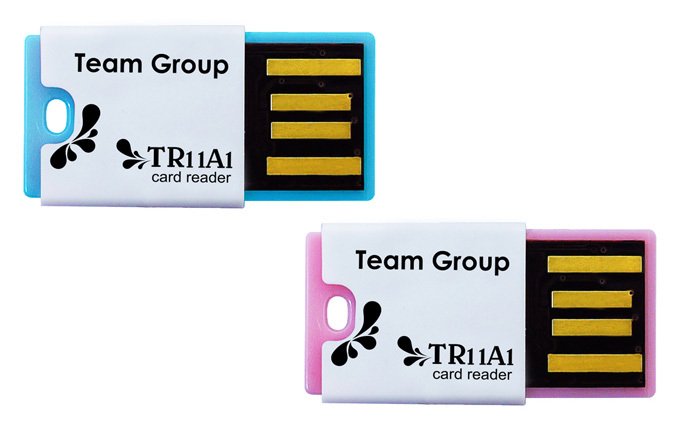 The TR11A1 is a tiny single slot card reader for micro SD/SDHC memory cards with a size of a tiny piece of chewing gum, weighing only 2 grams and allowing you to conveniently transfer data from the memory cards to your PC. It is available in in two colors- sweet pink and sunny blue, has USB 2.0 interface and comes with a two-year warranty, along with a convenient strap.